The Helderberg Wine Route is set against a dramatic backdrop of mountains, overlooking the eastern edge of False Bay. The sharply rising mountains and chilly sea breeze give the region a unique character, with a cooler climate than the surrounding Stellenbosch and Franschhoek wine routes. The region is just a 30 minute drive from central Cape Town, and makes a fantastic day trip. 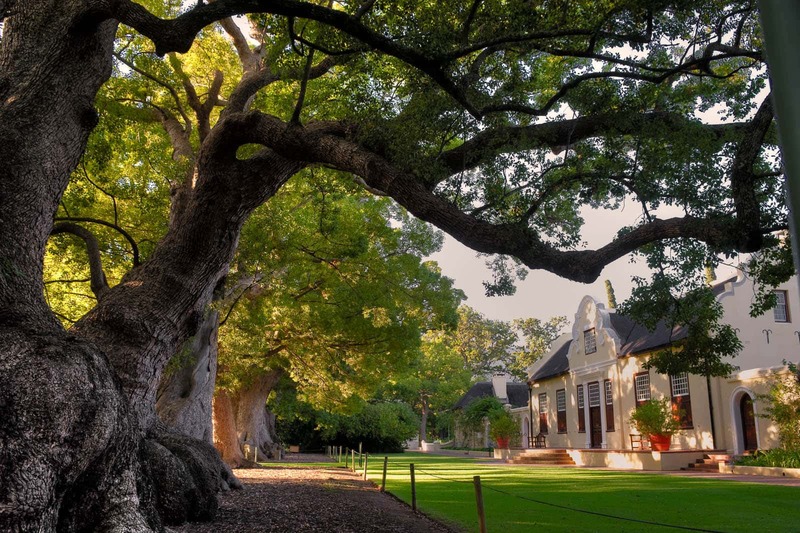 We’ve selected some of the top wine estates in Somerset West which you need to try! You would be hard-pressed to find a better view than the one at Morgenster Wine and Olive Estate. 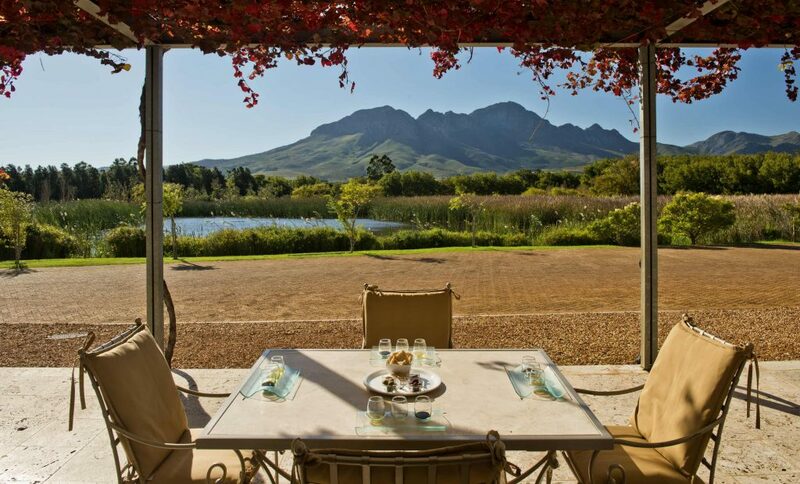 The tasting room overlooks a still reed-lined dam, with the Helderberg mountain range looming in the background. They are award-winning producers of olives, olive oils and wine, and you can enjoy their outdoor seating while you taste their wares. The estate is also home to a lovely Italian restaurant, 95 at Morgenster, where you can enjoy farm-reared meat in traditional Italian dishes. Lourensford is an historic estate, but has recently undergone something of a makeover with many hectares of new vines and an ultra-modern cellar. Their wines are just divine too: the Lourensford Limited Realease Chardonnay has won some of the country’s most prestigious accolades, and the estate as a whole shone at the 2017 Novare SA Terroir Wine Awards. The Restaurant is open daily, serving breakfast, lunch, and baked goods. The estate also hosts the popular Lourensford Market every Sunday and every alternate Friday. Vergelegen is more than just a wine estate. With a 300-year history, and spectacular dedicated gardens, the estate is an attraction in its own right. There is a herb gerden, lavender labyrinth, kids’ playground and maze, wetland, rose garden, cellar tours, a number of walking trails, and a library that holds books dating to the 1700s! The picnic lawns are stunning, and there are two restaurants—Camphors and Stables—to choose from. Based on the slopes of the Helderberg in Somerset West, Waterkloof Wine Estate follows a minimalist approach to its winemaking, with a philosophy of producing wine as naturally as possible. Their organic wines are delicious. The estate if also home to a signature restaurant, which boasts spectacular views over False Bay and the winelands. The restaurant is also a popular wedding venue. Wine tasting takes place daily from 10am to 5pm and cellar tours are available by appointment.